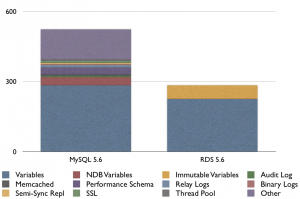 This post comes from Ryan Lowe at the MySQL Performance Blog. One long-standing complaint I have heard for the past several years, and still hear today, is that Amazon’s Relational Database Service (RDS) does not allow the same configuration flexibility as running MySQL in an EC2 instance. While true, this ignores the consistent work that Amazon has done to provide access to the most important configuration variables needed to tune a MySQL instance (after all, how relevant is it for a customer to set bind_address in an RDS instance?). 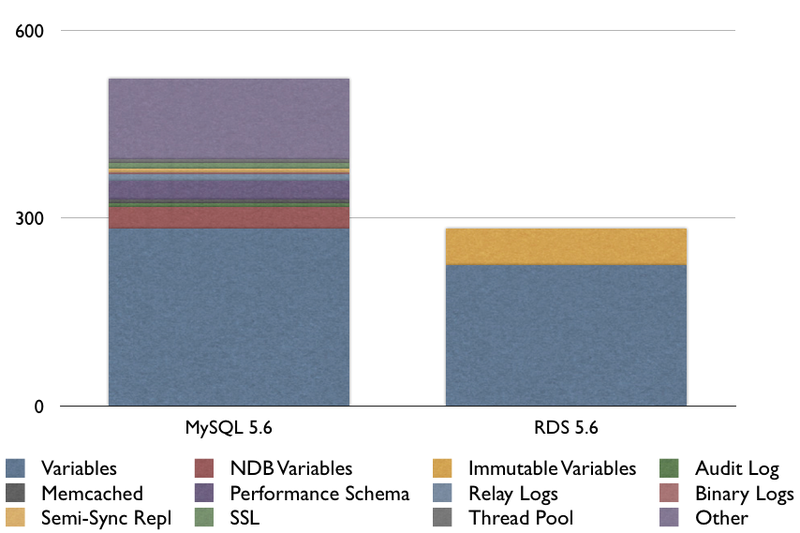 MySQL provides 523 options (35 of them NDB specific, and so aren’t relevant to RDS), while RDS provides (via the web UI) 283, with 58 of those being immutable (things like basedir, datadir, and a variety of other variables). Amazon still has a way to go to be fully compatible with configuration variables, but by and large the important ones are available to customers, with minor exceptions (I’m looking at you, innodb_log_file_size).